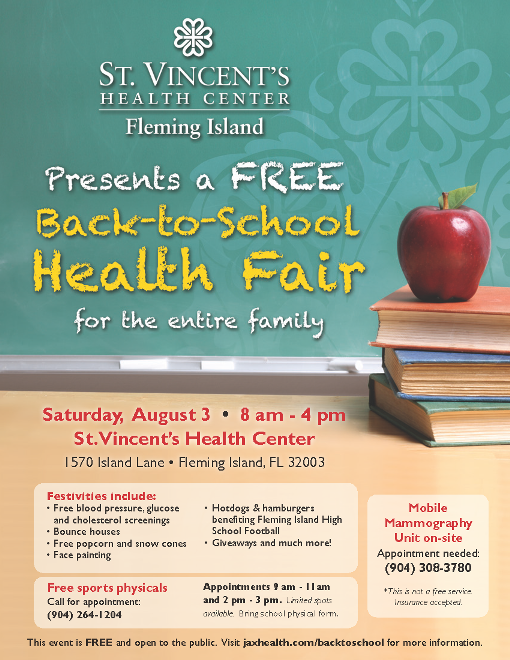 Southeast Orthopedic Specialists welcomes you to join Dr. Lalliss and St. Vincent’s Primary Care in Fleming Island for a free health fair. Dr. Lalliss will be on-site assisting with free sports physicals from 9 am until 11 am. Call for your appointment today!